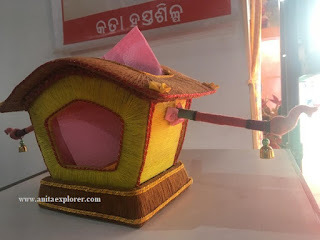 Odisha, a state in eastern India, has amazing art, crafts and handlooms. All are very bright, colorful and beautiful. 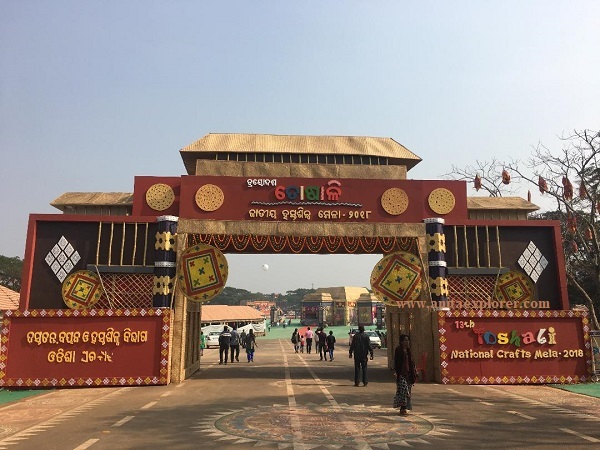 There are many handicrafts and handlooms fairs and exhibitions that are held like the popular and famous Toshali Crafts Mela. It is held annually in December each year in the Janata Maidan ground in Bhubaneswar. 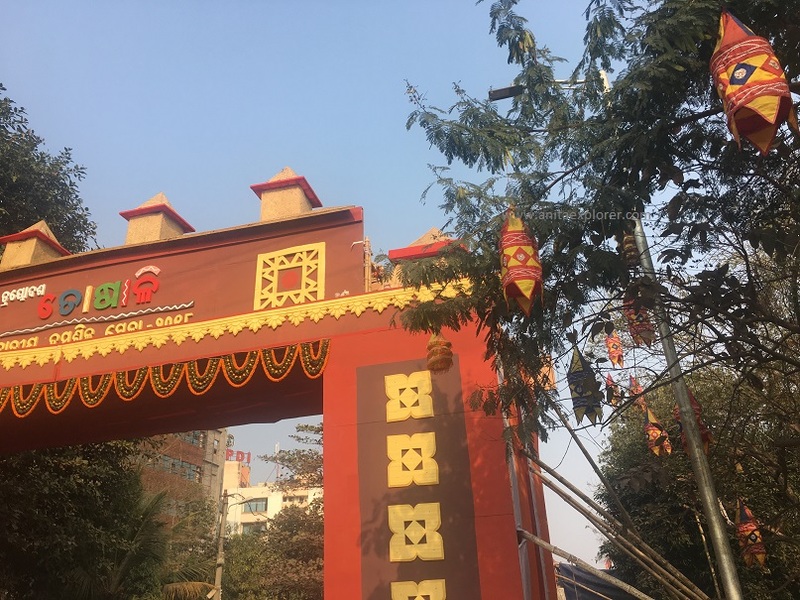 Toshali Crafts Mela attracts many artisans and weavers and lovers of art. Many amazing crafts items are available for sale. The business turnover is worth several crores. One can spot Pipli Applique Work lampshades and handicrafts like wall-hangings beautifully decorating the premises. Crafts are made from various materials like wood, stone, cloth, coconut, coir etc. The skill of the capable Odia artists is praise-worthy. Interesting crafts are available in this famous fair. 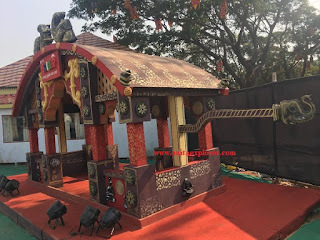 A large palanquin was part of the fair. Couples were clicking parts there. I was happy to spot a smaller palanquin that was made of coir! 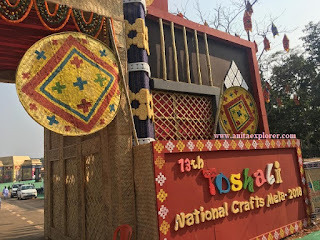 Note- There are many crafts available at the Toshali Crafts Mela. This one post cannot do justice to the entire Toshali Crafts Mela.